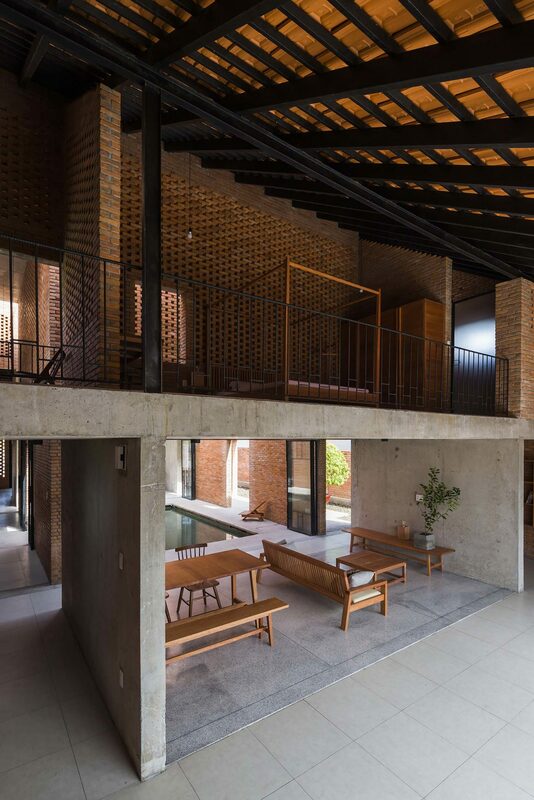 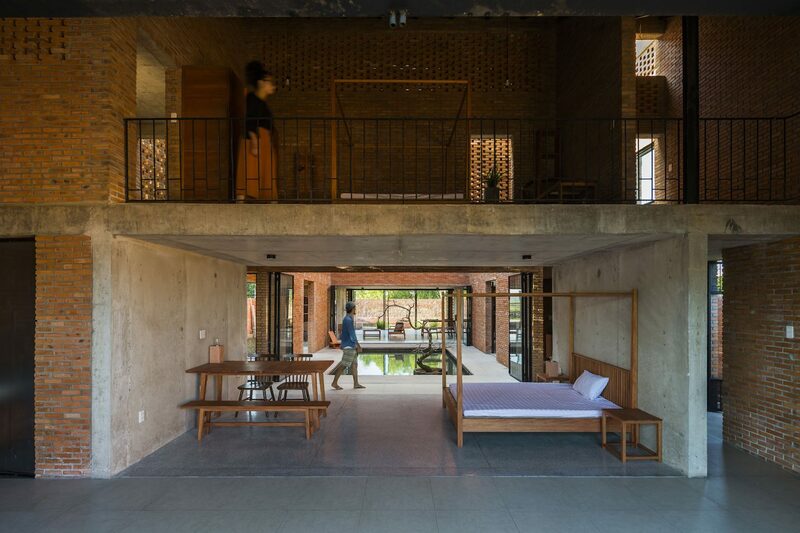 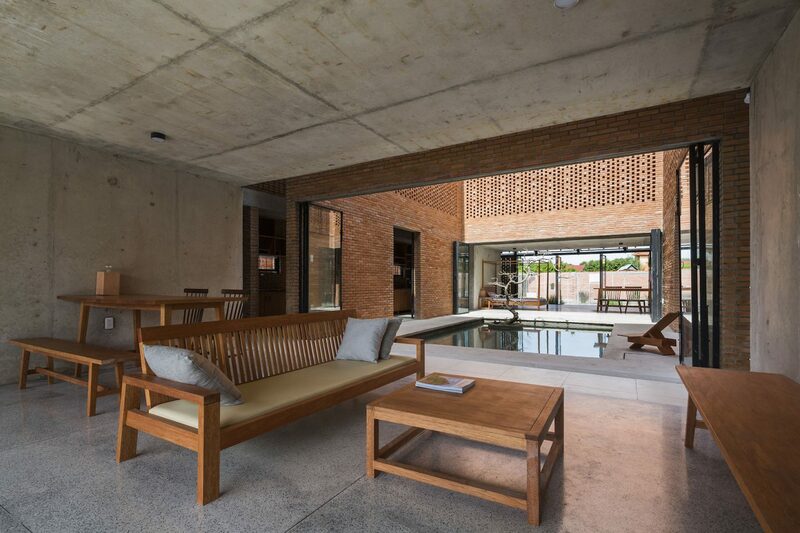 Vietnamese studio Tropical Space has completed the ‘Long An House’, an open plan home with a central courtyard in response to the humid climate in Mỹ Hạnh Nam, Vietnam. 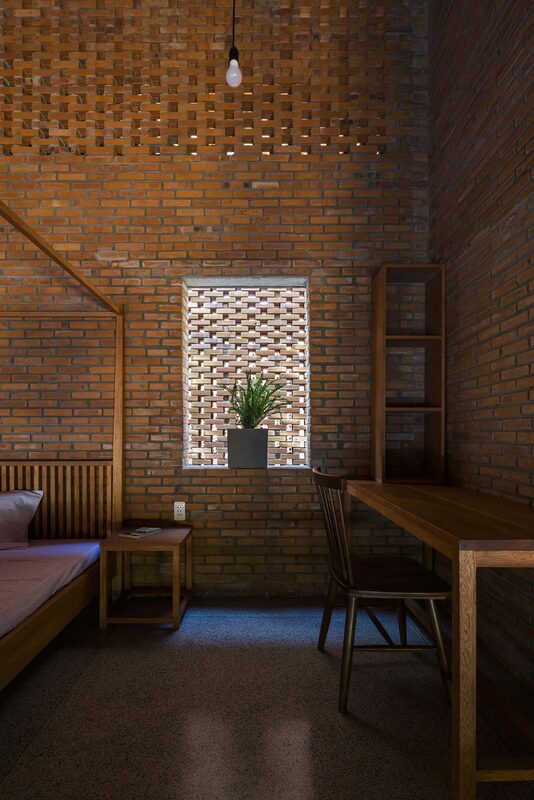 Maximizing ventilation throughout this traditional family home in Vietnam was a priority for the local architecture practice. 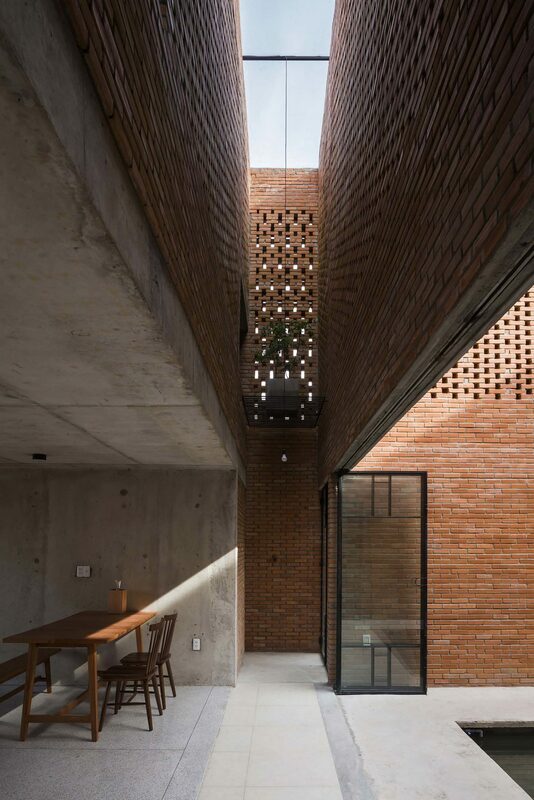 Perforated brick walls and a divided roof were used to allow light and air into the building. 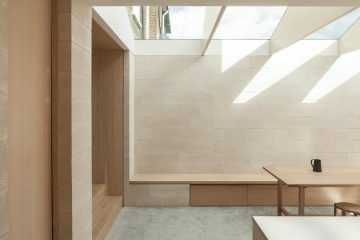 Porous walls mean that a light breeze flows through the house, providing occupants with some respite from intense weather conditions. 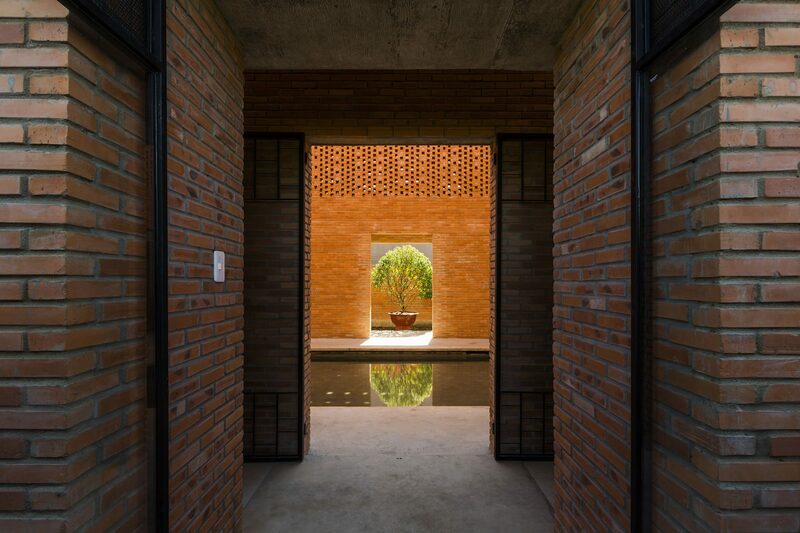 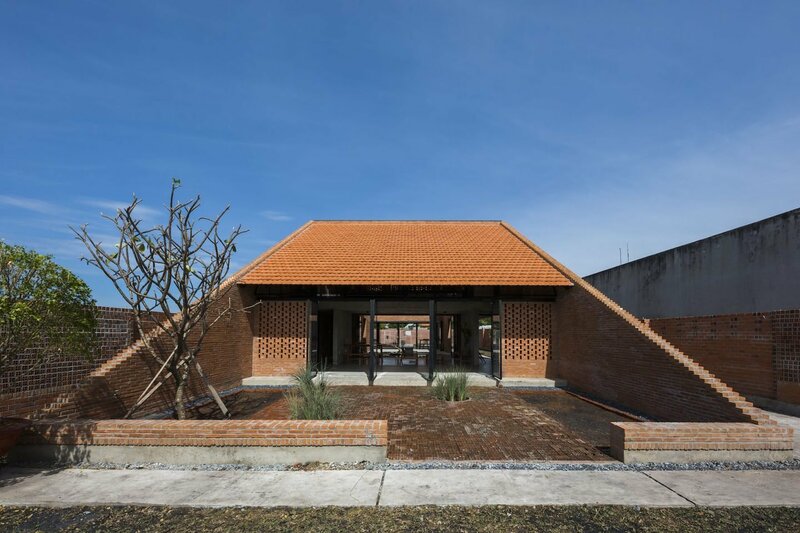 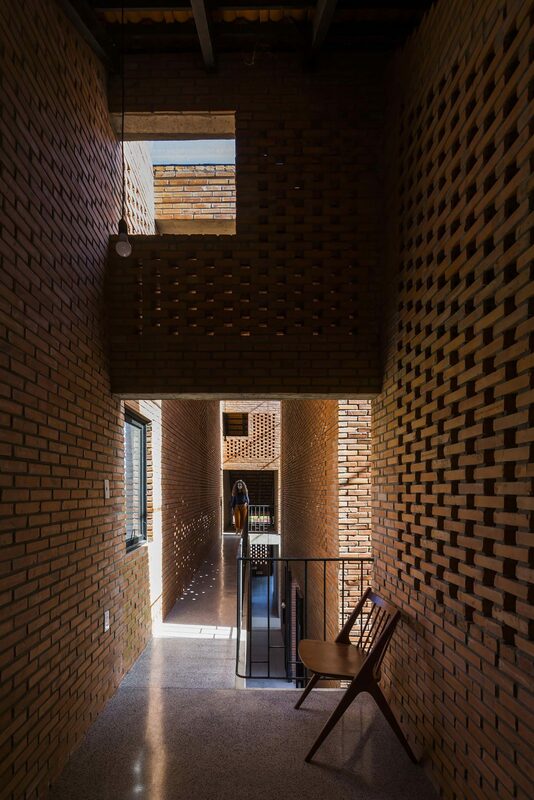 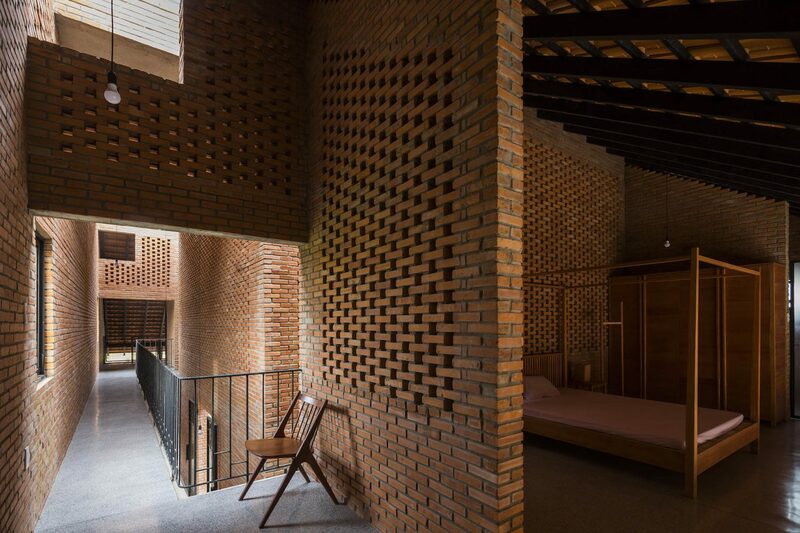 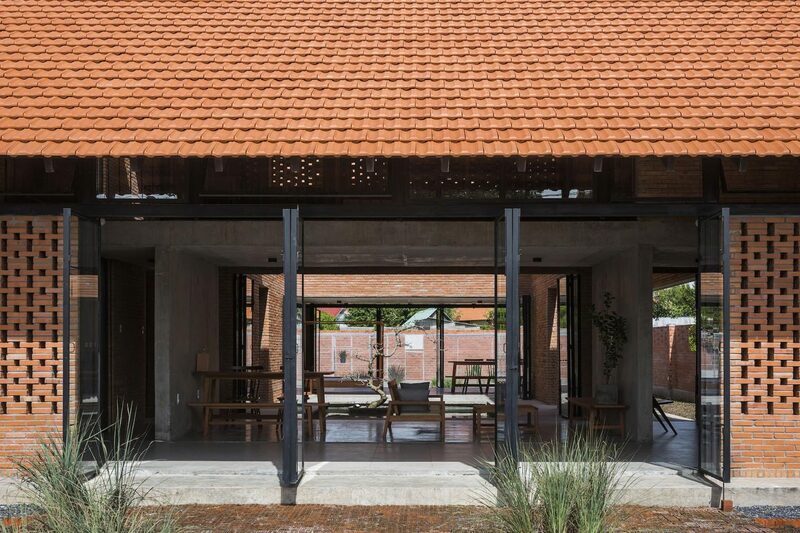 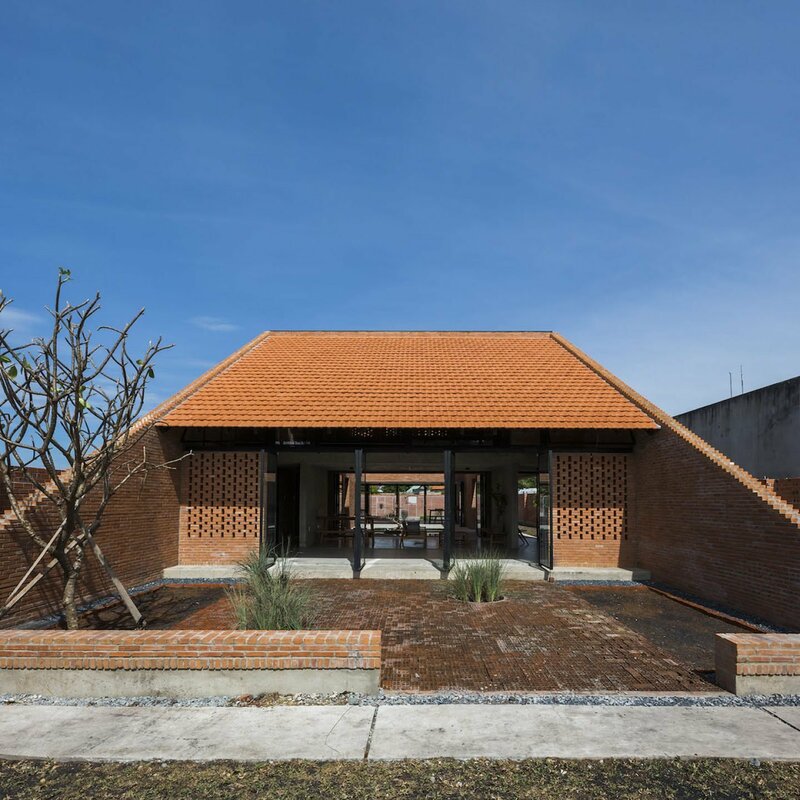 Specializing in sustainable, environmentally friendly solutions for Vietnamese homeowners, Tropical Space used hollow clay bricks that can absorb rain and reduce heat.Perforated brick walls and a divided roof were used to allow light and air into the building. 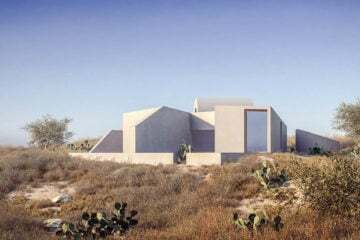 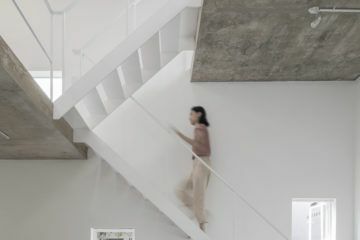 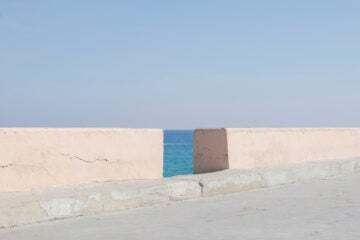 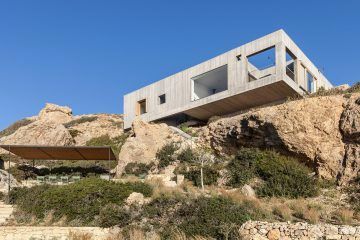 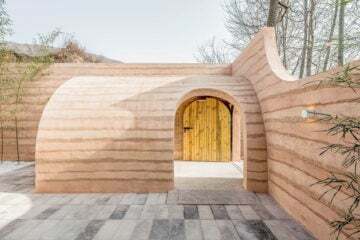 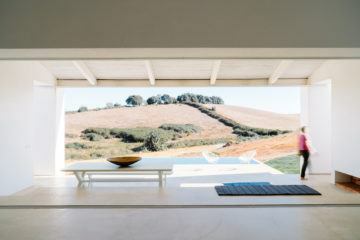 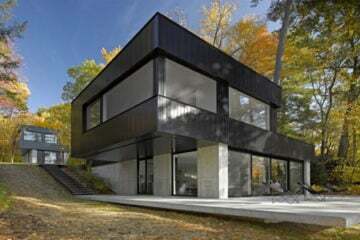 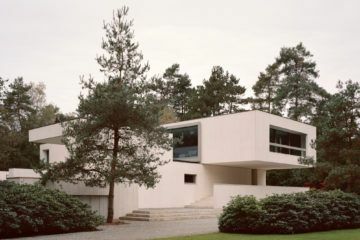 The building is punctured by large openings that form entrances into the home, creating an interesting connection between the environment and the interior. 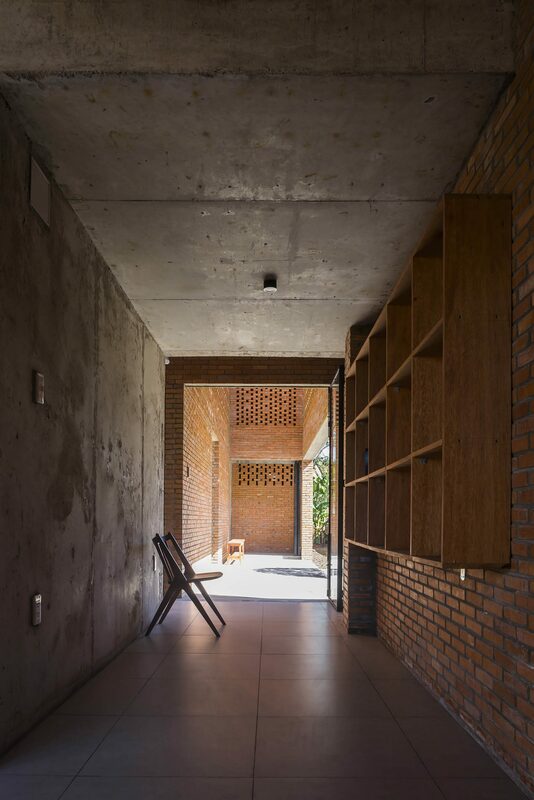 This is enhanced by the earthy tones and exposed brick material that has been used inside the house. 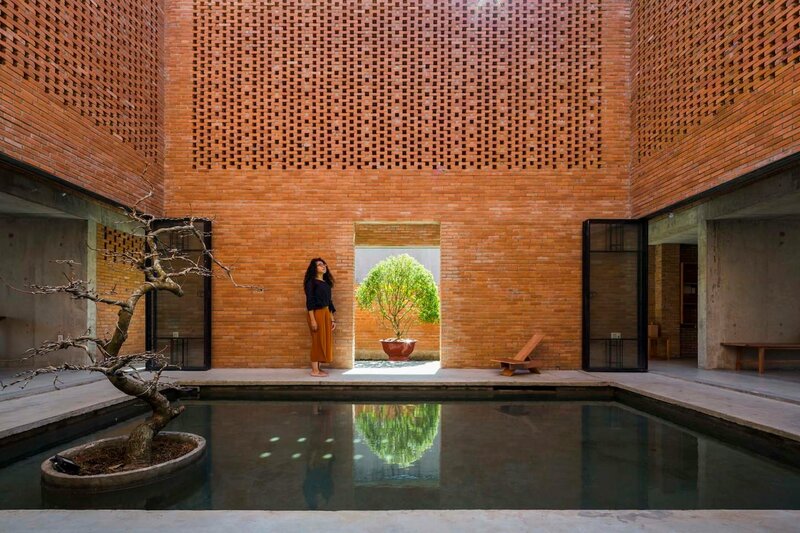 A pond in the middle of the courtyard further connects the home to nature. 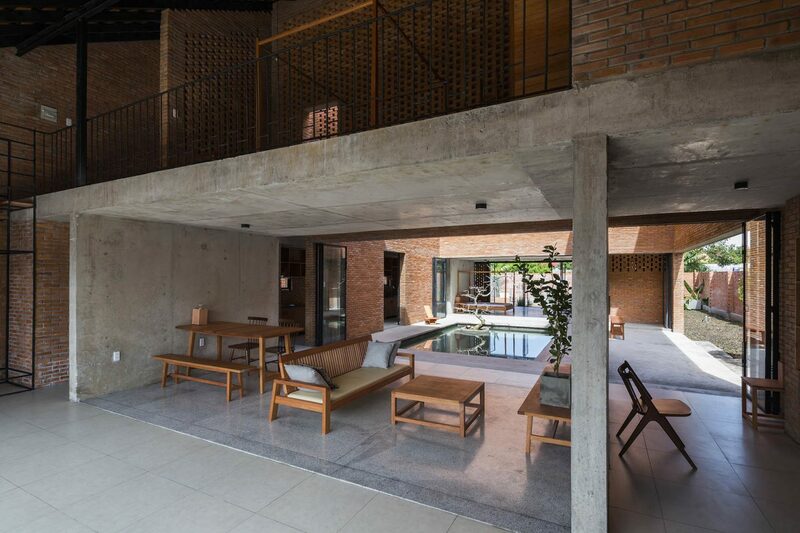 Most of the ground floor is open plan, connected to the central courtyard. 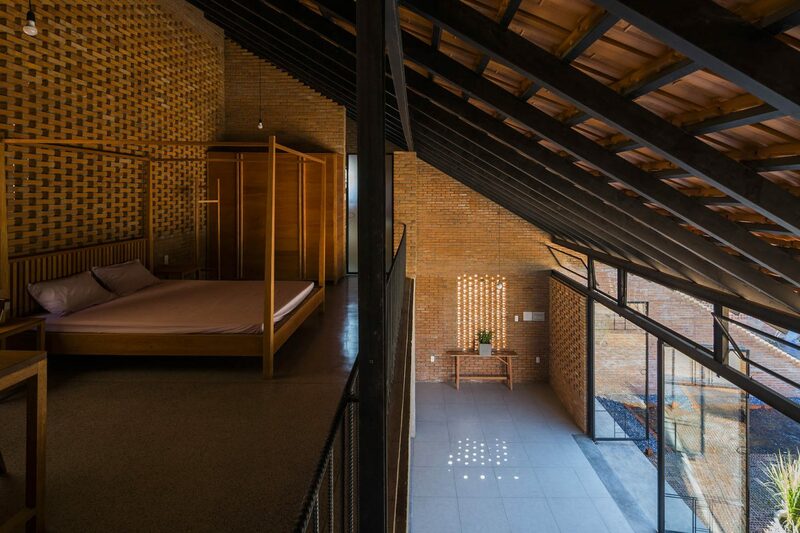 The architects wanted to create a continuous space between the functional areas both inside and outside so that the occupants can move freely throughout the home. 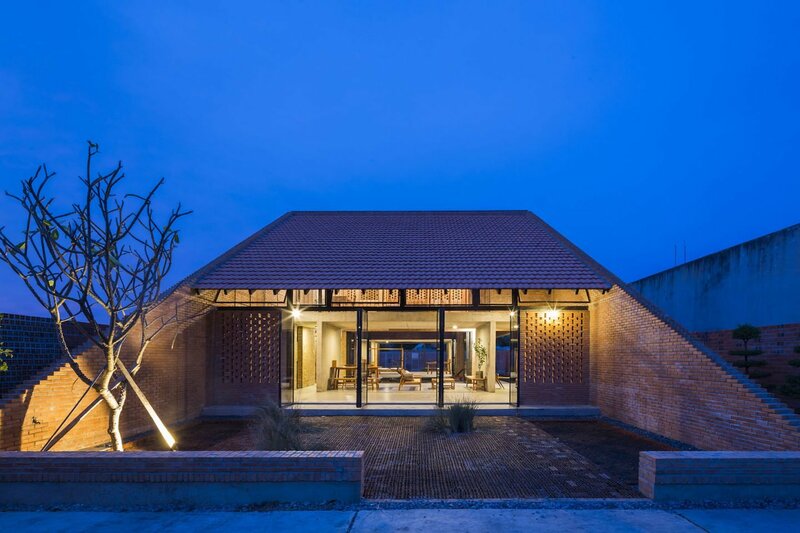 The expansive kitchen and living room run along the house and offer the inhabitants plenty of space for traditional Vietnamese cooking and dining which involves many family members coming over for dinner.